I recently found some flower pots on sale for .50 cents or less, and I just couldn't pass them up! They were extremely plain, just boring plastic pots with no decorations whatsoever. There were several sizes and many of them were scratched up. How could I decorate them using only leftover crafting supplies that were already laying around the house? Surely I had something useful in all that 'junk'!! Yep, sure enough. I grabbed my trusty glue gun, some garden twine, and some longer bits of leftover yarn that I'd forgotten all about- and got busy crafting! Not only did this turn out to be a lot of fun, it was also highly addictive, because the finished product was really nice! I couldn't make just one, especially once my friends saw them. Try it out and see for yourself. Enjoy! Gather up all of your supplies. 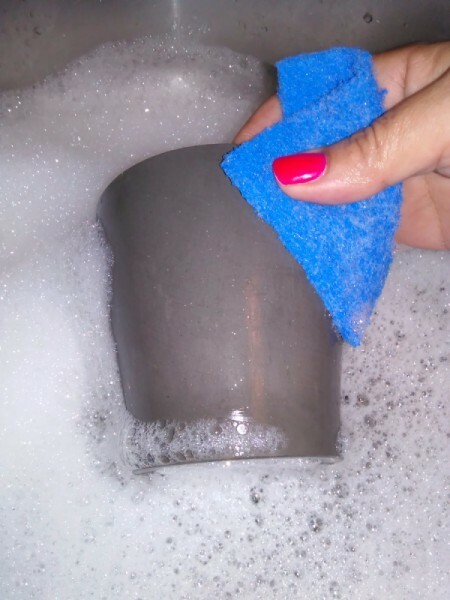 Clean older pots with soap and water, then allow to dry completely. 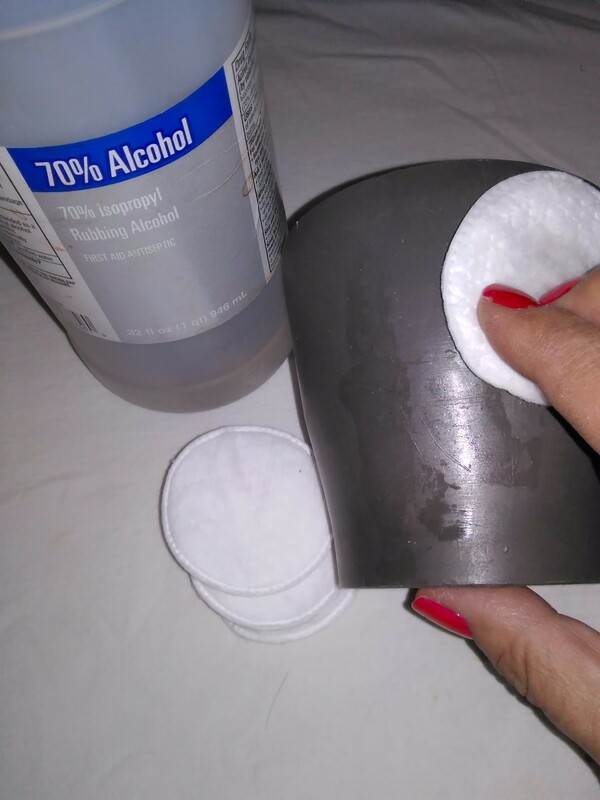 If your pots are new, wipe them down with cotton balls or a rag dipped in alcohol to remove any oily residue that may remain the surface from people touching them in the store. 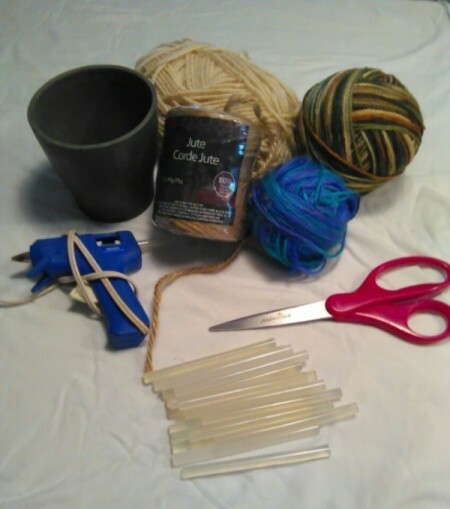 Start glueing your chosen fiber at the bottom edge of the pot. 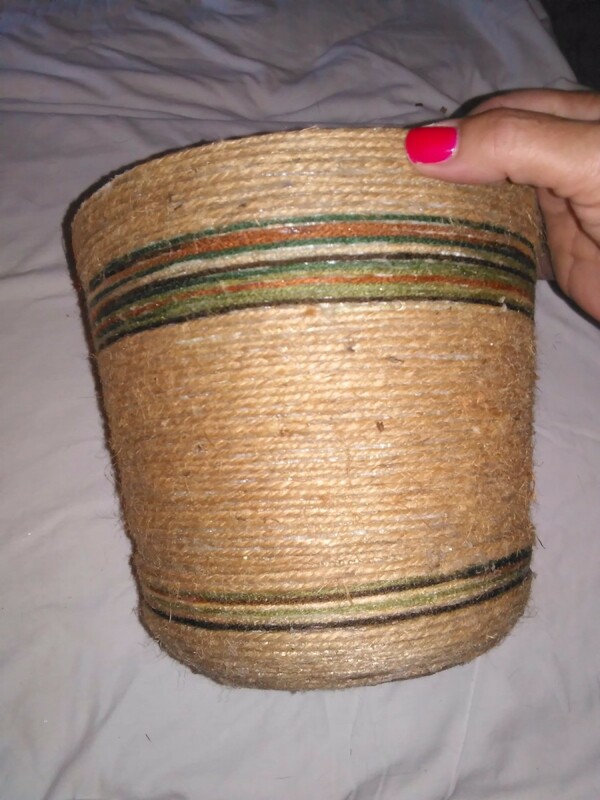 I personally like to begin with jute, since it is both thicker and more coarse than most yarn, making it an excellent choice as a "base" for the softer, finer textures of yarn. It helps to begin at a very slight angle and leave a small tail hanging loose. You'll trim this off later. 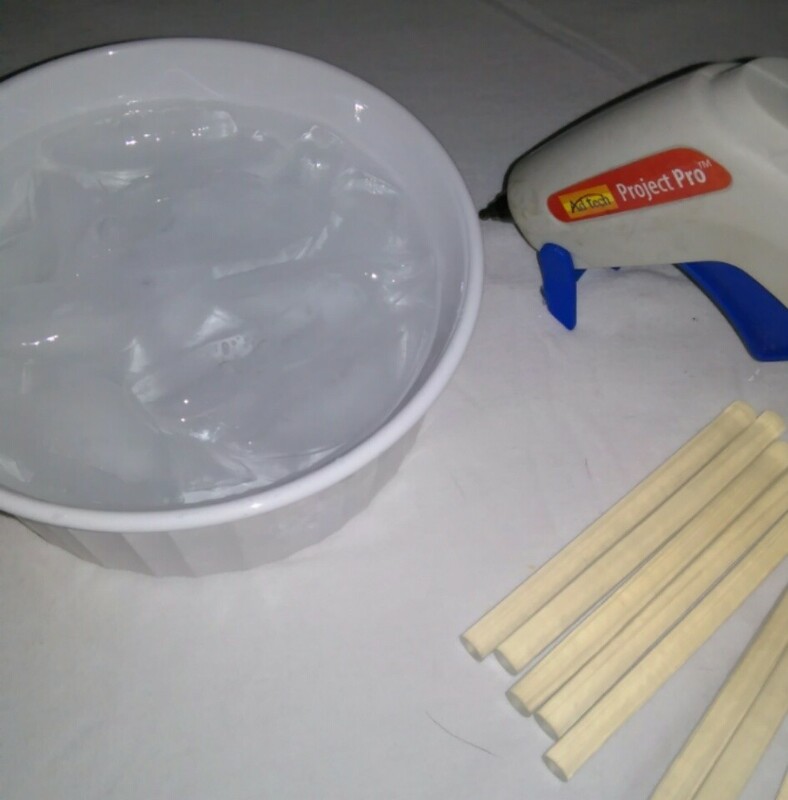 HELPFUL HINT: ALWAYS keep a bowl of ice water nearby when working with hot glue! If you are like me, you will inevitably end up with hot glue on your skin - when this happens, quickly plunge your finger into the ice water to immediately cure the glue and stop the burn from becoming much worse! 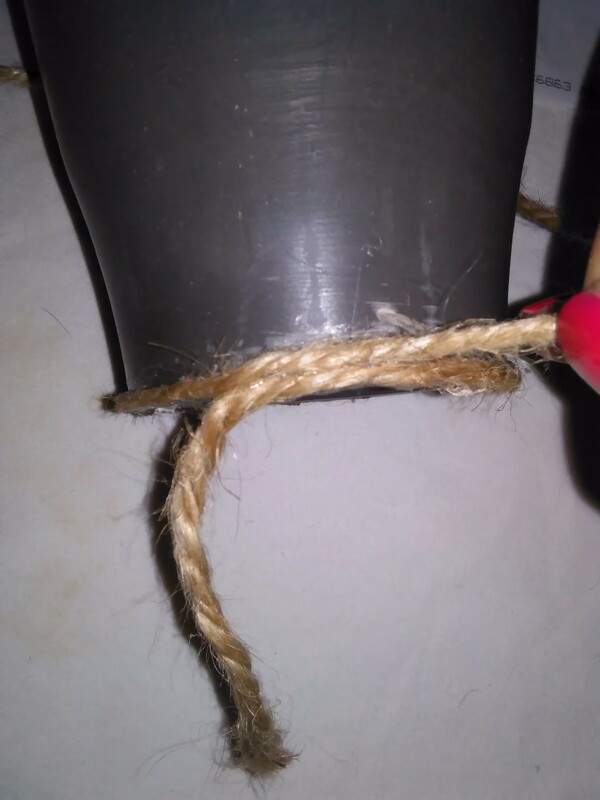 Work your way around the pot until you reach the beginning cord. 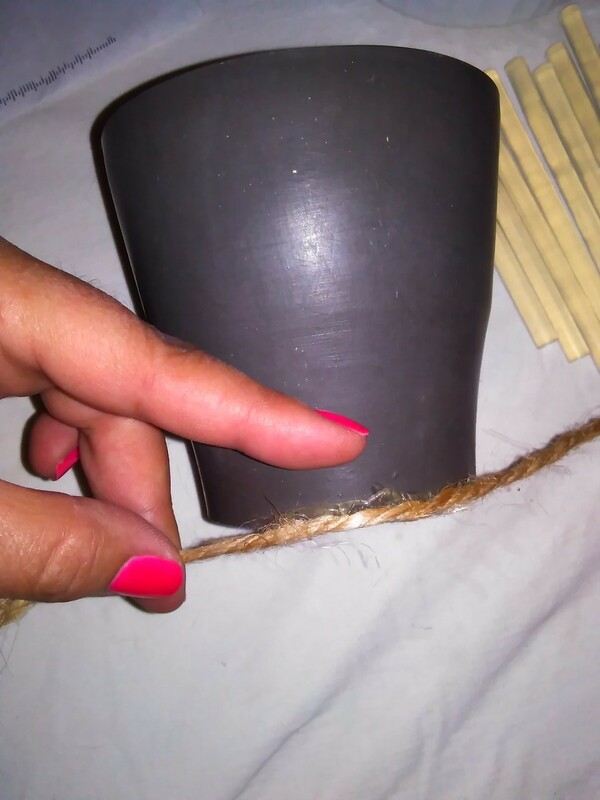 Make your next line of glue against the pot and also touching the top edge of the first row of cord. 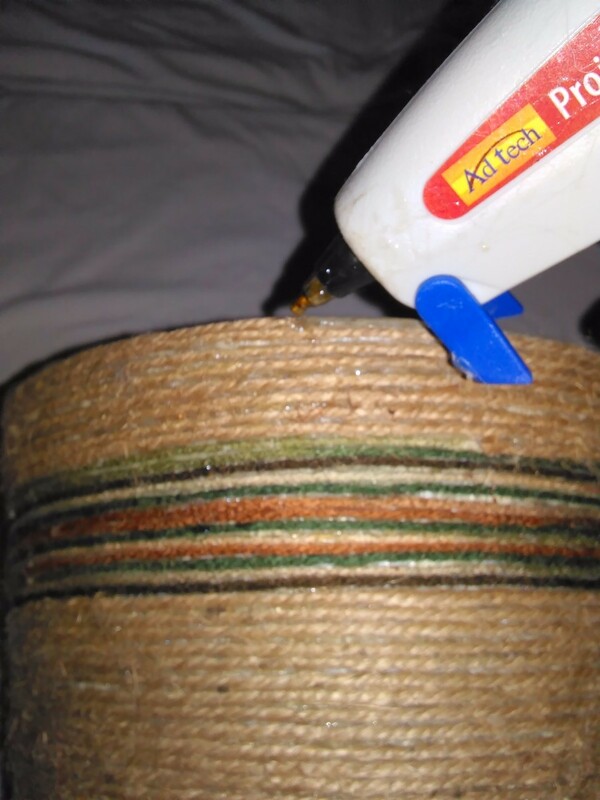 Make your glue lines only a few inches at a time. This ensures that they don't cure up before you have the chance to press in the next section of cord. If you find that the glue has cured too much, that's OK - just pause to let it cure all the way, then simply peel off the dried glue and continue. 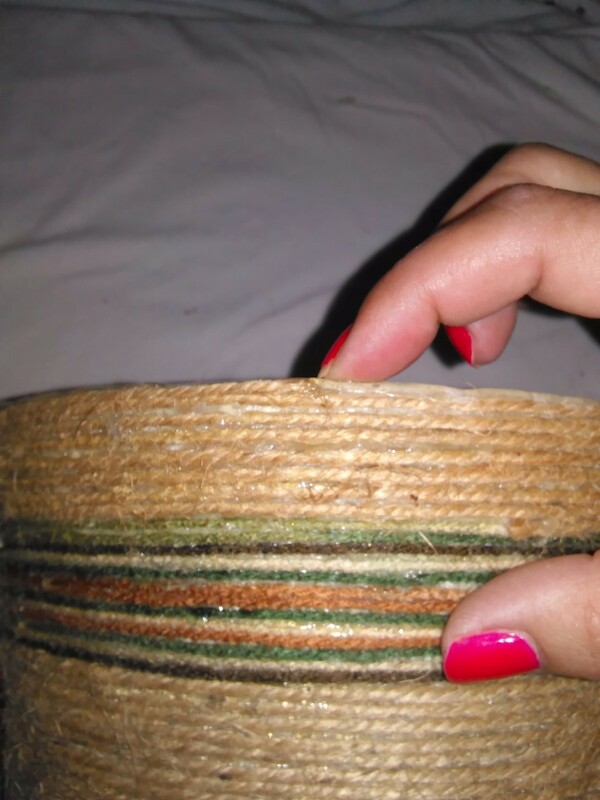 If any glue seeps out between rows of cording, wet your finger and then carefully smooth it out while the glue is still soft and pliable. If you end up with any glue strings it's best to pluck these off later when they are completely dry. 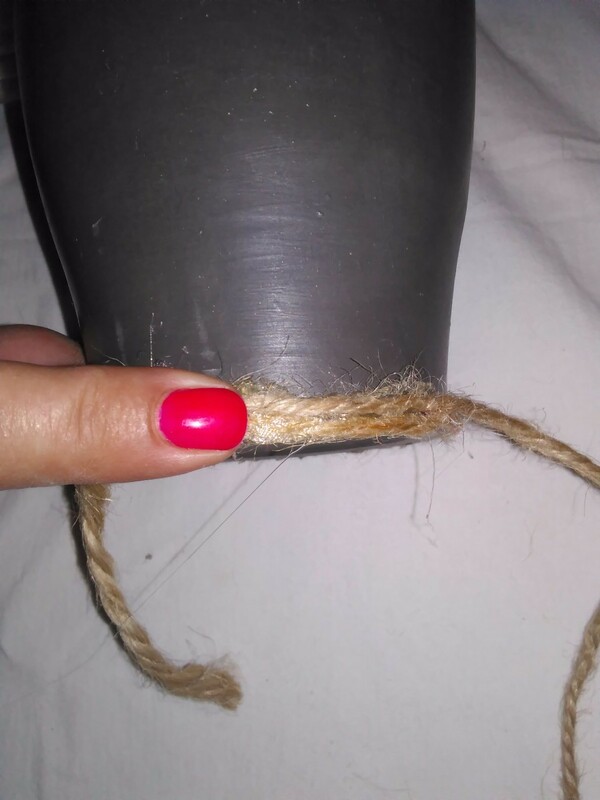 Continue around and around your pot, simply clipping off the end of one cord and beginning with another whenever you want. Alternate stripe widths and colors as often as you like, matching the design to your own decorating style or that of a friend's. Simply work your way to the top of the pot and neatly trim the end. Being sure to wet your finger, seal this last little tip of the cord with a small dab of hot glue, and you're done! A finished pot! 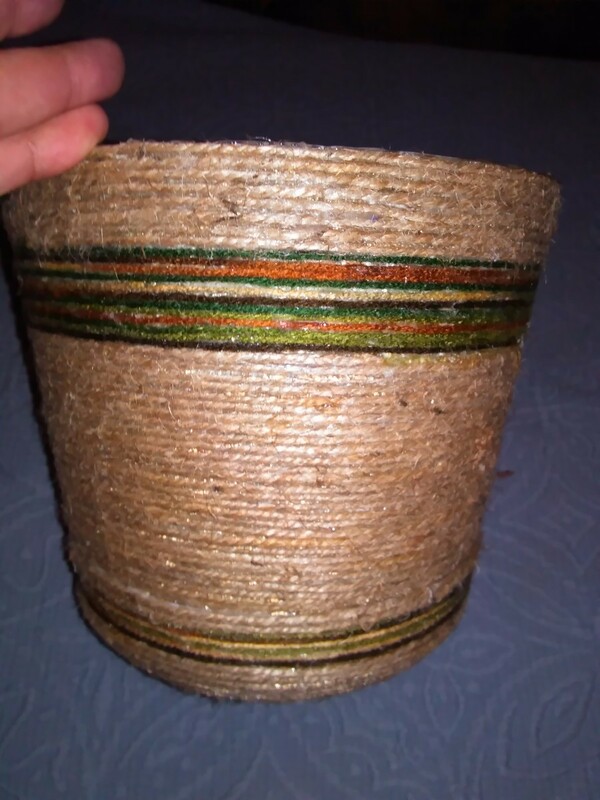 Make up a few of these neat little flower pots and use them in place of gift bags or baskets. Fill them with small gardening essentials such as garden gloves, hand tools, plant markers, and seed packets. Wrap a pretty bow around the whole thing (or don't! ), and you've got a beautiful, unique, hand-made gift from the heart that anyone would be sure to really love and appreciate! I hope that you enjoy making them as much as I have! Happy Crafting, Happy Gifting, and Happy Growing! Looks awesome! Always nice to have a few extra pots! Thanks so much! I'm REALLY glad you enjoyed it!! Beautiful, useful and easy to make! Thank you, Ivey! !